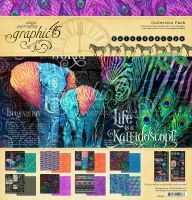 Do you REALLY want the whole Kaleidoscope collection? 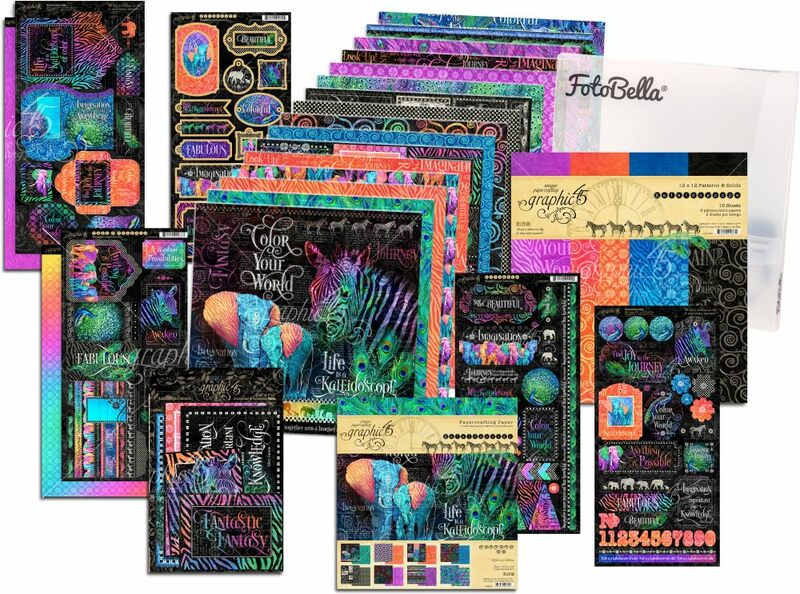 FotoBella has put it together in this I REALLY Want It ALL! 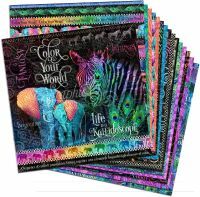 Bundle. 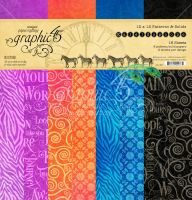 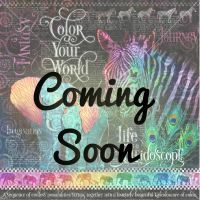 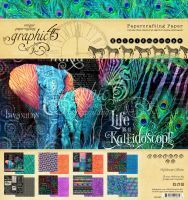 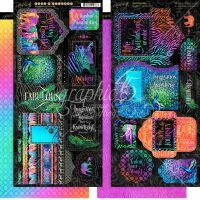 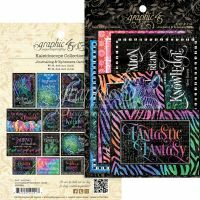 This paper crafting kit includes the Kaleidoscope 12"x12" paper pad (2 sheets of 8 double-sided designs and decorative sticker sheet), 8" x 8" paper pad (2 sheets of 8 double-sided designs), 12"x12" Patterns & Solids paper pad (2 of 8 double-sided designs), decorative chipboard, 4x6 & 3x4 Journaling & Ephemera Cards, tags and pockets, and exclusive FotoBella paper storage box.